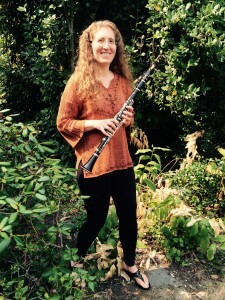 Jenny Ziefel is a professional performer and clarinet and saxophone teacher. Jenny Ziefel is a classically trained clarinet and saxophone player with wide ranging musical interests. She is involved in many different styles of music including orchestral playing, chamber music, jazz, free improvisation, new music, music theatre, and more. She has been teaching professionally since 1992 and in the Seattle area since 1998. She has played with the Seattle Bass Clarinet Project (Setzer/Ziefel Duo), the Bellevue Philharmonic, the Lake Washington Symphony Orchestra, Seattle Women’s Jazz Orchestra, Cascade Symphony, the Eastside Chamber Music Series, and countless other ensembles in the Seattle area. Teaching philosophy: Each student has unique interests, skills, and abilities. Lessons focus on the individual student’s needs and interests so that they can enjoy the skills they earn. Questions are always welcome.